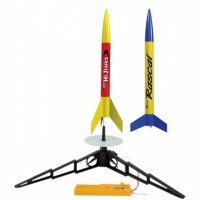 Two Rockets Ready to Fly right out of the box. 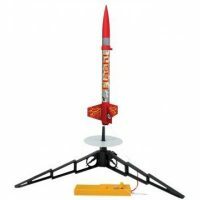 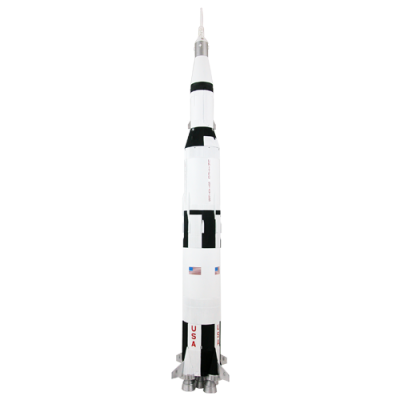 Includes complete launch system, and the Rocketeer’s guide to model rocketry. 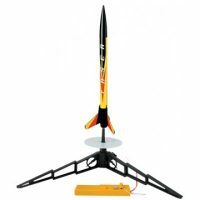 Glue, building tools and Estes engines required – sold separately. 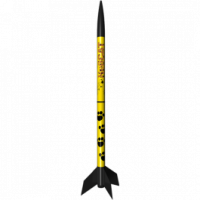 The Electron Beam Launch Controller uses four AA alkaline batteries – sold separately.